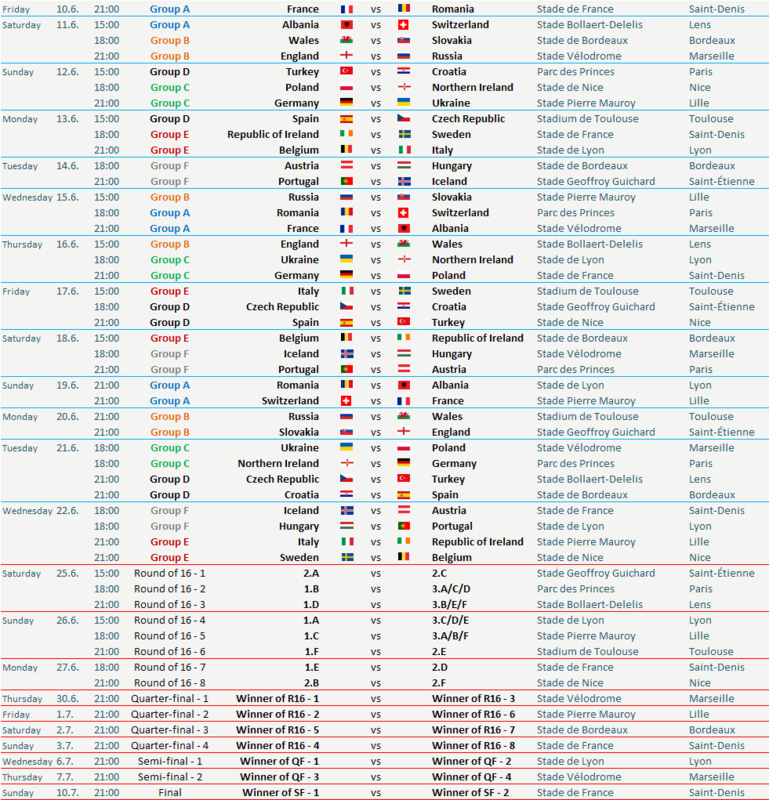 Download free Euro 2016 Fixtures and official Schedule PDF, Euro 2016 Schedule PDF Live TV, Time, match list, Stadium (Euro2016Fixtures, #Euro2016Schedule #Euro2016SchedulePDF). For the first time, the European Championship final tournament will be contested by 24 teams, having been expanded from the 16-team format used since 1996. Under this new format, the finalists will contest a group stage consisting of six groups of four teams, followed by a knockout stage including three rounds and the final. 19 teams (the top two from each of the nine qualifying groups and the best third-placed team) joined France who qualified automatically as hosts; a series of two-legged play-off ties between the remaining third-placed teams in November 2015 decided the last four spots at the final tournament. Please comment, reply and cheer for your favorite teams, national teams. Thanks!